US has the most congested roads. According to the 2017 Global Traffic Scorecard released by INRIX Inc., American drivers spend the most time in the road. Using big data analytics in its research, INRIX, a recognized world leader in transportation analytics and connected car services, analyzed 500 terabytes of data from 300 million different sources covering over 5 million miles of road. The research covered 1, 360 cities in 38 countries. To analyze congestion, INRIX ranked the major cities of the world by the number of peak hours the average commuter spent in congestion in 2017. Topping the list as the world’s most gridlocked cities for the sixth straight year is Los Angeles (102 hours), followed by Moscow and New York (tied at 91 hours), Sao Paulo (86 hours) and San Francisco (79 hours). Los Angeles commuters spent over 100 hours a year in traffic jams more than any other city in the world. The slowest traffic across all congested periods in 2017 was in Oaxaca, mexico at 3.6 mph or 5.9 kph. Belfast was the slowest major city studied at 3.3. mph (5.4 kph) during the daytime, slower than a horse and a cart. US has the most congested roads in developed world! The data used in the 2017 Global Scorecard is the congested or uncongested status of every segment of road for every minute of the day, as used by millions of drivers around the world that rely on INRIX-based traffic services. 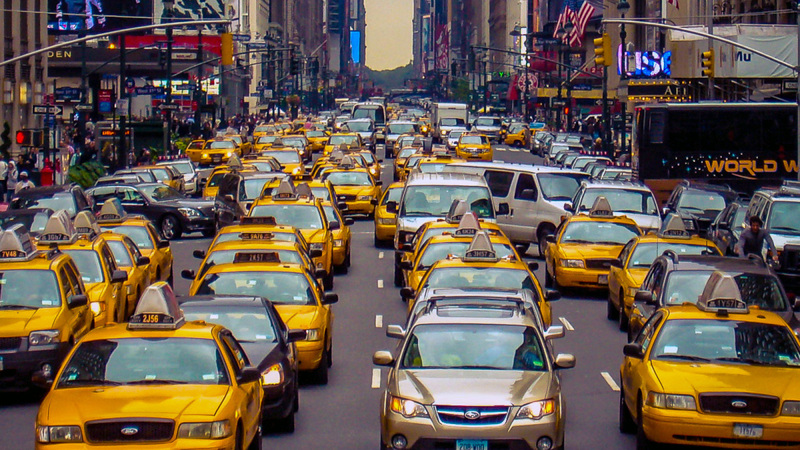 The U.S. accounted for 10 of the top 25 cities worldwide with the worst traffic congestion. On average, Americans spent an hour a week stuck in traffic on their commutes in 2017. Three US cities made it to the top five most congested cities globally: Los Angeles (first), New York (tied for second with Moscow) and San Francisco (fifth). With that said, the U.S. ranked as the most congested developed country in the world, with drivers spending an average of 41 hours a year in traffic during peak hours, costing them nearly $305 billion in 2017, an average of $1,445 per driver. Los Angeles spent an average of 102 hours last year in traffic jams during peak congestion hours. This is equivalent to $2,828 for each driver and the city $19.2 billion from direct and indirect costs. The INRIX scorecard indicates that traffic congestion is costing the world’s major cities economic drains both in direct and indirect costs. It also threatens further economic growth and lowers the quality of life. Direct costs relate to the value of fuel and time wasted, and indirect costs refer to freight and business fees from company vehicles idling in traffic, which are passed on to households through higher prices. For instance, congestion cost U.S. drivers nearly $305 Billion in 2017, an average of $1,445 per driver. In London, being stuck in traffic last year cost drivers more than 2, 430 pound sterlings and more than 9.5 billion pound sterlings across the city as a whole. Is there something that could be done to loosen up the roads?